Is Facebook Prepping a New Homepage? New tweaks to the Facebook homepage have been spotted in the wild that may make it easier to see what's going on within your network. New features include improved filters for the newsfeed, a revised right-hand column and a new Publisher box reminiscent of Facebook Lite. 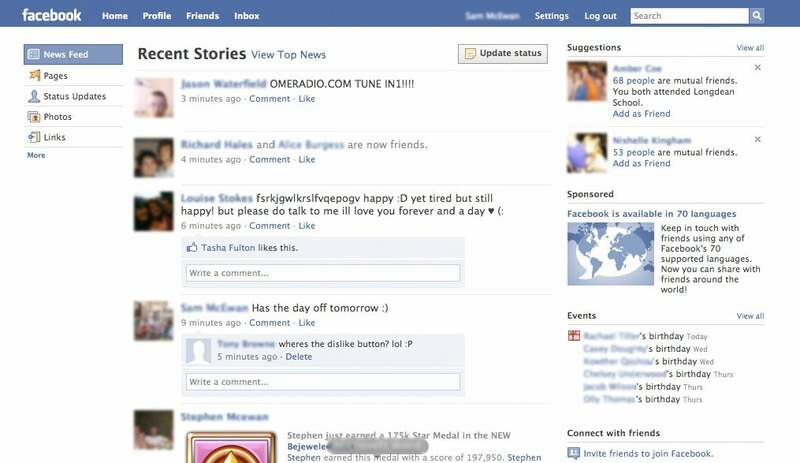 Screenshots of the new homepage first appeared on The Next Web, and Inside Facebook. A Facebook spokesperson has confirmed the social network is currently testing a new homepage designs. Still, without explicit confirmation, new features should be considered rumor. The most obvious change of the proposed redesign is the disappearance of the "Publisher" box where you post status updates, Web links, photos, videos, and events. Instead, you would simply have an "Update Status" button on the far right side of the news feed. There are no screen shots showing how this button works or if it contains the same functionality as the Publisher, but I would assume it would do the same job. Where the Publisher typically sits, Facebook has placed a filter for your News Feed called "View Top News." The new filter looks like it functions similarly to the "Comments" link now sitting in the left-hand column of your Facebook homepage. Next to the top news filters is a title that looks like it alternates between headlines like "Evening News" and "Recent Stories" depending on the time of day you're viewing it. The central placement of the top news filter may make it a more popular feature by helping users keep tabs on any Facebook activity they may have missed. Although the new filter is just a minor tweak, this may be the first visible sign of FriendFeed-like features on Facebook. As Mashable points out, the new filter is similar to FriendFeed's Best of Day feature. Another interesting tweak is the removal of the 'Highlights' section in the right hand column. This brings the "Events" feature closer to the top of the page, making it easier to see upcoming birthdays, parties, and other events within your network. This is a welcome change, since it moves more useful information to a place where you might actually see it. It's interesting to note that this tweak would make the Facebook home page closer to the failed redesign that Facebook users revolted against back in March. Until Facebook makes an announcement about new features, it's hard to know what new redesigns users will see. It should also be noted that the rumored tweaks look similar to features found in Facebook Lite, which makes me wonder if this just isn't a revision of that format. Of course, even if Facebook rolls out some new homepage features, there's no guarantee they'll stick around. When Facebook caved to its user base earlier this year over a significant homepage redesign, I thought the social network made a huge mistake. I, for one, actually like the failed redesign, and the hodgepodge revision we ended up with had some serious flaws, like the poor placement of the "Events" section. 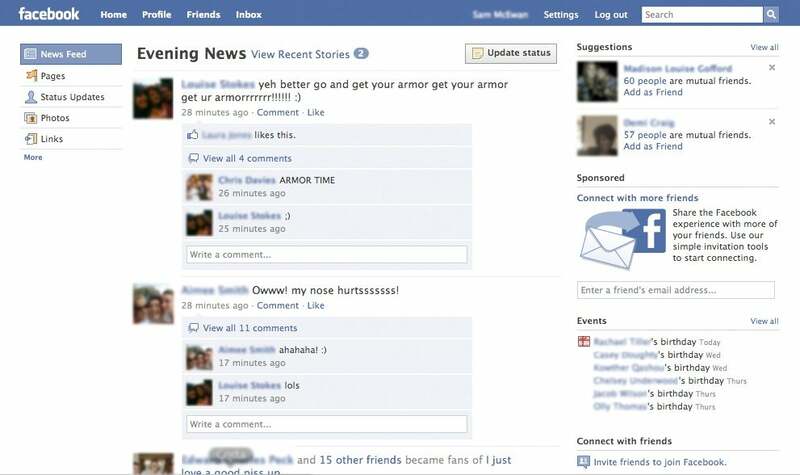 If users revolt once more, which I'm sure they will, Facebook should grow a pair and stick to its redesign plans.